Every year the girls pad up, lace up their cleats and have the opportunity to take the field for the Powder Puff game. The Powder Puff game is an annual event (if weather permits) that gives junior and senior women the opportunity to play in a flag football game, while the boys sign up to be the cheerleaders, dressed in the full cheer leading uniform. 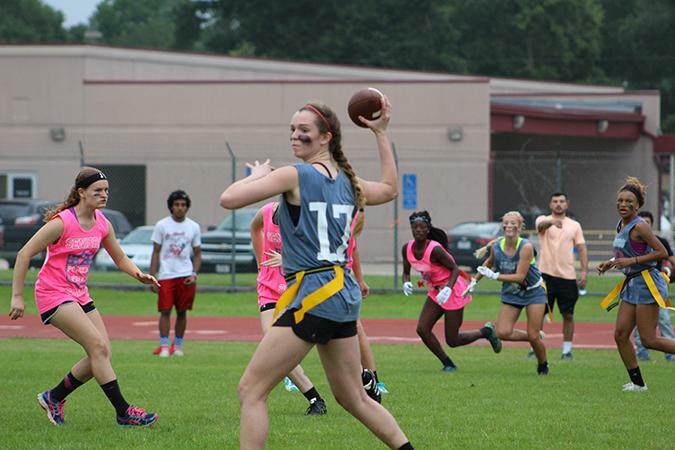 With Cy Woods being the highly competitive school that it is, the Powder Puff game is full of intense rivalry and contact between the junior and senior women. Last year the juniors shockingly took the win, will the class of 2017 come back to defend their tittles as seniors? Well forms to sign up become available Monday, so soon we will find out. The game is April 13th at 6:30 on the football field, come ready to either defend your class and support our Lady Wildcats.